As our region’s leading and largest girl-focused nonprofit, Girl Scouts of Greater Los Angeles supports nearly 43,000 girls to thrive in partnership with more than 24,000 adult members and volunteers in Los Angeles County and parts of Kern, San Bernardino, and Ventura counties. FilmL.A., the official film office for the City and County of Los Angeles and 23 other jurisdictions, confirmed an average occupancy rate of 96 percent and a similarly high rate of utilization at certified sound stages in Greater Los Angeles in 2016. Children’s Bureau provides child abuse prevention and treatment services to at-risk children and parents each year through 21 community sites located in Los Angeles and Orange County. Ninety-two percent of the families served are low income. The Red Cross Los Angeles Region is part of a nationwide network of locally supported chapters and serves over 10 million people in Los Angeles, Inyo, Mono, and Kern Counties. Downtown Los Angeles water developer Cadiz Inc. is back in the courthouse. A coalition of environmental and health safety groups filed a lawsuit in federal court late Tuesday seeking to overturn a federal government agency’s recent decision that would allow Cadiz to build a pipeline for its planned Mojave Desert water project. Passenger traffic at Los Angeles International Airport was up 4.7 percent in October compared to last year, and is up 4.6 percent so far this year, according to the airport organization. Los Angeles International Airport officials announced this week that 2,110 parking spaces at LAX’s Economy Lot C – nearly half of the spaces – will be removed in two phases over the next four months to allow for construction work. We believe that the 100 years of experience of the Society can be leveraged to make a difference in lower income countries. This is why we have chosen to work across the full cancer continuum, predominantly in national referral hospitals, often the only facilities where cancer is currently addressed. Improving the lives of local families affected by Alzheimer’s/Dementia by increasing awareness, delivering effective programs/services, providing compassionate support, and advocating for quality care and a cure. LA Weekly’s new owner, Semenal Media of downtown, axed more than half the alternative weekly’s staff Wednesday, according to the paper’s now-former editor. Century City-based Canyon Partners Real Estate said it provided a $63.5 million loan to an affiliate of Portland-based PHK Development Inc. to finance construction of a seven-story, 162-unit condominium project. Proofpoint to acquire secure browser developer Weblife for $66 million, SpaceX will fly cargo to the Space Station on a used Falcon 9 Rocket and Evan Spiegel explains why Snapchat is separating social from media in redesign. Proofpoint announced Wednesday plans to acquire anonymous web browser developer Weblife of Hollywood for $66 million. Encino-based brokerage Investment Real Estate Associates announced the $10.2 million sale of a 20-unit, non-rent controlled Flight Ave. Apartments. A new study released Wednesday shows huge disparities in income and quality of life in L.A. County. CECP’s Strategic Investor Initiative is a collaboration that leverages CECP’s CEO network to fundamentally change the conversation between CEOs, boards of directors, and investors, from a focus on short-term profits to “long-termism”--the creation of multi-year strategies that include financial and environmental, social, and governance (ESG) factors. Los Angeles private equity firm Ares Management announced Tuesday it has reached an agreement to sell four coal-fueled power plants and completing the divestment of its fossil-fuel power facilities. Falcon Heavy launch date slips into next year, Great Hill Partners commits up to $75 million to Reliam and RYOT Studio announces cast for Hulu virtual reality comedy. Better is Possible, As I embark on my new role to lead the Los Angeles region, I am humbled and grateful to know that our team members are having such a great impact throughout the country and especially here in Los Angeles. Recently my firm had an opportunity to construct and present a financial projection of a global corporation’s potential return on investment (ROI) from its corporate social responsibility (CSR) activities. Digital technologies are transforming every facet of our society, creating new opportunities and challenges while fundamentally altering the way we live, work and interact. November brings thoughts of family and friends and feasts and fun, Black Friday discounts and so much more. SpaceX, the Hawthorne-based rocket company founded by billionaire Elon Musk, added $100 million in new funding to its recent haul, bringing the total raised since late July to $450 million, according to a Monday filing with the Securities and Exchange Commission. Two former employees of a Los Angeles-area ambulance company and a dialysis treatment center pleaded guilty on Monday to a Medicare fraud scheme that ran up nearly $7 million in fraudulent claims, the U.S. Attorney’s office announced Monday. The owner of LA Boutique Gift Shop inside the JW Marriott Hotel in Santa Monica has pleaded no contest to minimum wage violations and agreed to pay employees $11,000 in back wages, the city of Santa Monica announced Monday. Snapchat launches augmented reality product placement; Hulu exec departs to launch virtual reality investment fund and human beats NASA’s JPL artificial-intelligent controlled drone in race. Passenger traffic at Long Beach Airport was up 25 percent in October from the same month last year, according to airport officials. Nearly 165,000 passengers boarded airplanes at the airport - a 25 percent jump – and was led by a 32,000 increase in passenger count, or 33 percent, in boardings for JetBlue Airways. Attention “Game of Thrones” fans: Today’s Los Angeles Business Journal print edition story about China-Hollywood TV deals includes word that “Game of Thrones” Co-Executive Producer Vince Gerardis is in discussions with Santa Monica-based Leeding Media to produce a historical series and at least partly shot in China. Doheny Eye Institute of Boyle Heights has acquired a four-story Pasadena office building for $50 million, according to Downtown-based Charles Dunn Co. The center bought the 123,203-square-foot property at 150 N. Orange Grove Blvd., and will be moving to the new location in the fourth quarter of 2018 from its current headquarters, at 1355 San Pablo St., a building on the County-USC medical campus, according to the brokerage firm. Businesses unite in effort to change state’s labor laws. TECHNOLOGY: Digital execs see building as people pleaser. Digital marketing firm Scorpion moves into new headquarters in Santa Clarita. Cruise ship takes 3,200 guests from Caribbean to Pacific. Princess Cruises takes its big ships through the widened Panama Canal. Proximity to tragedy impacts showman’s food festival. Woodland Hills event production firm owner impacted by Las Vegas shooting. REAL ESTATE: Repositioned retro audio plant attracts new tenants, including Facebook. Former audio plant is fixed up for industrial, office and retail tenants. Historian and PR pro Marty Cooper has worked for perfectionists Walt Disney, Hugh Hefner — and himself. Valley public relations professional Martin Cooper. production: Flexible studio space reports bookings from repeat customers. Crimson Production Studios in Chatsworth has been up and running since the middle of October and already has proved as popular as its owners hoped. Malls: Concert kicks off campaign for Village at Westfield Topanga. The Village at Westfield Topanga in Woodland Hills kicked off the holiday shopping season Nov. 18 with a special program that featured the talents of local music groups and a visit from Santa Claus. Increasing demand and regulations have spurred a health care construction spree. Hospitals are in a building frenzy in anticipation of more patients. Northridge Hospital Medical Center’s Saliba Salo. Urgent care chains have moved into shopping centers, filling space stores leave empty. Gelb moves from cramped quarters to custom space. Gelb Group designs a custom space for its employees in Warner Center. APARTMENTS: Dual project will add nearly 600 units to neighborhood. Two mixed-use luxury apartment complexes totaling nearly 700 units are rising in the Warner Center neighborhood of Woodland Hills. I moved into a downtown high rise recently, AND I am pumped up about living in the “new” DTLA, full of millennials and food trucks. Diversity, new housing, eclectic restaurants, art galleries and the like define DTLA. The holiday season is upon us and the end of 2017 is fast-approaching, which means many companies are getting ready to distribute bonuses. So the Business Journal asks: Does your company give out holiday or year-end bonuses? Commercial real estate investment banking firm George Smith Partners of Century City has secured nearly $267 million in refinancing for a four-property apartment portfolio on behalf of Beverly Hills-based developer G.H. Palmer Associates, according to George Smith. Henrik Fisker is known for creating luxury cars like the BMW Z8, Aston Martin V8 Vantage and Aston Martin DB9, as well as electric vehicles. Regulation crowdfunding continues to push forward, with close to $70 million raised by nearly 700 companies from unaccredited investors since the Securities and Exchange Commission greenlit the practice in May 2016. Customers at the newly renovated Westfield Century City mall now have the option of a high security, concierge-type service. L.A. County’s robust labor market continued to thrive in October as the unemployment rate fell to 4.7 percent from 4.9 percent in September and 5.1 percent a year earlier. The Los Angeles Area Chamber of Commerce joined business groups across the state last week in publicly urging Congress to pass the Dream Act before current protections expire for immigrants who came to the U.S. as minors. South Los Angeles-based United Denim Inc. will shut its doors in December and lay off more than 160 employees, according to an Aug. 29 filing with the state’s Employment Development Department. What was all the hubbub at the Four Seasons, where a mystery VIP recently had LAPD out in force, with officers and members of the canine unit standing sentry, notifying visitors that all vehicles and their trunks would be checked? George O. Davis, executive director of California African American Museum in Exposition Park, came to the post following a 30-year-plus career in the entertainment industry. President Donald Trump’s tax plan would likely have an outsized effect on business in Los Angeles if the bill passes with certain parts intact. Spanish-language stations are no longer kings of the local airwaves. The clock is ticking for Southern California’s legion of aerospace suppliers to get in line or get left behind on new cybersecurity standards issued by the Department of Defense. Studio 1 looked every bit its age before the demolition crews arrived. Spotting a 200-watt light bulb in the middle of the Pacific Ocean from outer space requires more than 20/20 vision and strained squinting. The past year brought a rash of busted deals between China and Hollywood’s entertainment industry, most recently the end of Paramount Pictures Corp. and Hua Hua Media’s $1 billion agreement that would have financed 25 percent of Paramount’s movie slate for fiscal 2018 and 2019. Football, transit boost residential – office market in line? Commercial development is booming in Inglewood, and residential real estate is anticipated to follow. A Chinese firm that manufactures fertilizers made from seaweed has set up shop in the City of Industry. The Qingdao Seawin Biotech Group Co. Ltd., based in Shandong, China, launched a U.S. division to expand seaweed fertilizer sales across North America, company officials announced Wednesday. Divergent 3D announces $65 million round for 3-D printed car frames; Elon Musk claims Boring Co. generated $300,000 by selling hats; and an L.A. councilman wants cybersecurity programs for small businesses. The campus of DreamWorks Animation in Glendale has been sold for $290 million to a partnership that includes South Korean investors. L.A. City Councilman Mitch Englander introduced a measure this week to expand cyber security services accessible to small businesses in Los Angeles. The California Film Commission has announced that two big-budget films, “Call of the Wild” and Quentin Tarantino’s “Untitled #9,” will be shot in-state. Commission officials say the news, announced this week, represents further evidence that the state’s expanded Film and Television Tax Credit Program 2.0 is bringing big-budget filmmaking back to California. Big-budget films are those with budgets of $75 million or greater. Divergent 3D, a 3-D printing design shop and manufacturer, announced on Wednesday that it plans to close a $65 million Series B financing round close to Dec. 15. MNX Global Logistics, a Long Beach-based global provider of specialized transportation and logistics services, acquired Melbourne, Australia-based Logical Freight Solutions, company officials announced Wednesday. Terms of the deal were not disclosed. L.A. Area Chamber’s search for new leaders. Wider view of 5 freeway widening project. Sedgewick LLP, an 84-year-old global law firm based in San Francisco, will close its doors by the end of the year, laying off nearly 50 attorneys and staff in Los Angeles, a company official said. Doctors at Kaiser Permanente Southern California cut the odds of prescribing antibiotics for sinus infections by using digital health alerts to advise other physicians about their correct use, according to a study published Tuesday. HopSkipDrive raises $7.4 million round led by school bus operator, Ubtech Robotics is launching Alexa-powered humanoid robot and SpaceX may increase rocket launches next year by 50 percent. HopSkipDrive, which bills itself as a child-safe ride sharing service, announced on Tuesday that it closed a $7.4 million round led by school bus operator Student Transportation Inc.
South L.A.-based United Denim Inc. will shut its doors in December and lay off more than 160 employees, according to an Aug. 29 filing with the state’s Employment Development Department. In an updated filing with state regulators, Nestle USA said it will close its headquarters in Glendale on July 6, 2018. Ten franchise teams for ‘League of Legends’ North American e-sports league unveiled, SpaceX launch of secret Zuma mission on hold until after Thanksgiving and Maglev transportation company Arrivo welcomes regulations. Children’s Hospital Los Angeles has been awarded a $1.5 million federal research grant to study what triggers inflammatory bowel disease in more than 1.5 million adults and children, officials said Monday. A veteran of the Los Angeles banking sector and former head of the Small Business Administration under President Barack Obama has reportedly submitted a bid to purchase the embattled Weinstein Co. and bring new, majority-women leadership to its board of directors. Los Angeles International Airport and the U.S. Transportation Security Administration launched five automated screening lanes at the Tom Bradley International Terminal, airport officials announced late last week. My profession has some characteristics that make work/life balance challenging. It’s billed as “Apple store meets doctor’s office,” its chief executive hails from Google and its newest office opened last week in Westfield’s Century City mall instead of a medical building. Lovers of Gladstone’s restaurant on Pacific Coast Highway in Pacific Palisades probably still have another couple years to enjoy the seafood spot. Downtown-based Gensler, a global architecture, design and planning firm, was selected to redevelop a portion of the former Northrop Grumman Corp.
Vet-Friendly Job Initiative goal is to achieve 100,000 veterans hired nationally by the end 2020. The ports of Los Angeles and Long Beach recently approved the 2017 Clean Air Action Plan (CAAP), which is an aggressive bid to reduce emissions. Many companies reported strong revenue growth to make the Business Journal’s recent Fastest Growing List. So the Business Journal asks: How much revenue growth does your company expect in 2018? Los Angeles can likely solve its projected $30 million deficit for the fiscal year ending in June, but spiraling pension costs and other possible expenses remain as challenges, according to a report issued by credit rating agency Fitch Ratings Inc.
Three Los Angeles business schools rated among the nation’s best graduate MBA programs, with each moving up in rank this year, according to Bloomberg Businessweek’s 2017 list of Best Business Schools. Hollywood producer plans to fund next blockbuster with cryptocurrency, SpaceX Zuma launch slips again as teams investigate hardware issue and SpaceX expects government support for development of BFR launch system. A two-story office property at 588 Atlas St. in Monterey Park was recently acquired by In Christ Community Church for $10 million. It’s the week of Thanksgiving – just the time to pull on your heart strings. Biotech pioneer to shut Santa Monica lab. Keck’s $1 billion vision in Boyle Heights. Struggles, pleasant surprises among biggest labels here. Construction and operation of the 12-mile extension of the Foothill Gold Line light rail through the eastern San Gabriel Valley will provide a $2.6 billion economic boost to the region, according to a recent study. Fox exec to start sexual harassment reporting app. No shortage of biotech news in this week’s issue, with a tough break for 200 or more researchers and an intriguing opportunity for some prime lab space all rolled into Dana Bartholomew’s piece atop page 1, and the same staffer tracking a broader report on the sector as a local job generator in a separate story on page 6. Report moves L.A. up on rankings of life sciences employment hubs. The local restaurant trade very much reflected industry trends last week as two chains were snapped up – one changing hands in a deal between private equity firms and the other going to a strategic buyer. Downtown-based Gensler, a global architecture, design and planning firm, was selected to redevelop a portion of the former Northrop Grumman Corp. industrial site on Douglas Street in El Segundo into a creative office campus, according to the new owner of the property. A 13-story office tower near Los Angeles International Airport will be converted into a 129-room Hyatt House and a 272-room Hyatt Place Hotel. Augmented reality company Daqri of downtown Los Angeles has begun shipping its $5,000 Smart Glasses. SeekOps Inc., a Pasadena startup, manufactures a methane sensor that it attaches to a quad-copter drone and flies over oil and gas fields looking for leaks. Ziff Davis agrees to buy Mashable for $50 million, Virgin Orbit wins its first Defense Department launch contract and mystery surrounds payload SpaceX is launching. Line 204 Studios in Hollywood is doubling down on its home turf even as it gets ready to break ground on a 240,000-square-foot studio complex in Sun Valley in July 2018. Ziff Davis, owned by Hollywood’s J2 Global Inc., has reportedly agreed to acquire online media company Mashable for $50 million. Construction and operation of the 12-mile extension of the Foothill light rail line through the eastern San Gabriel Valley will provide a $2.6 billion economic boost to the region, according to a study released today. Simon Woods, president and chief executive of Seattle Symphony, has been named chief executive of the Los Angeles Philharmonic. UBeam raising $20 million Series B round, Disney Pixar launches virtual reality app and Sprint will bundle Hulu VOD service with unlimited plans for no extra cost. CenterPoint Properties has acquired a 6.8-acre industrial site at 16627 S. Avalon Blvd. in Carson. The property includes 84,620 square feet of space and is fully leased. Terms of the deal were not disclosed. Wireless charging startup uBeam Inc. is raising a $20 million Series B round from Upfront Ventures, Andreessen Horowitz, Founders Fund and Mark Cuban, among others. Fat Brands Inc., the Beverly Hills parent of the Fatburger restaurant brand, has agreed to acquire the 60-unit Hurricane Grill & Wings brand for $12.5 million. Employment in the Los Angeles life sciences sector has surpassed that of San Diego, vaulting the region to No. 2 in the Golden State, according to an industry report. Catasys Inc., which provides predictive analytics to reduce the cost of health insurance claims, reported third-quarter net income of $1.2 million, down 11 percent from the same period a year ago. Canadian behemoth franchisor MTY Food Group Inc. has agreed to acquire the franchisors of the Counter and Built upscale burger chain brands for an undisclosed amount. O’Melveny is working with the Mayor’s Office of Veterans Affairs to help surpass the “10,000 Strong” goal of LA companies hiring 10,000 veterans by the end of 2017. Rodeo Drive in Beverly Hills is the second-most expensive rental space location in the country, according to a global market report from Cushman & Wakefield. RSM US LLP (“RSM”) has several employee network groups (ENGs) that represent the firm’s Culture Diversity and Inclusion (CDI) program. Fox exec to launch harassment reporting app, Arrivo proposes maglev system for the inner city, and Fullscreen shutting down subscription VOD service and will lay off 25 employees. Once known as the land where Howard Hughes built his aerospace empire, Playa Vista is now the land of tech empires — Facebook, YouTube, google, yahoo, Microsoft, Belkin to name a few. The ports of Los Angeles and Long Beach are on track to mint a record-breaking year in cargo movement. Spurred by the current storm of sexual harassment charges in the entertainment industry, politics and elsewhere, AllVoices, a tool that enables employees to anonymously report harassment, said it had raised $2 million and would launch shortly. When your growing company is meeting goals and posting profits, it’s possible that the next step could involve bank financing to continue to build your business. Sales growth in sales and expansion into new markets are good problems to have, but they come with their own set of tax challenges. Puma Biotechnology’s flagship drug has been shown to reduce the risk of breast cancer, recurring disease or death in women who have taken it five years, according to a new study. In our culture, CEOs are often revered as super humans who have risen to the top by virtue of their abilities, leadership qualities and smarts. Whatever the nature of the data and systems used in your business — and whatever the size of your business — cybersecurity is an issue you cannot ignore. Congratulations to this year’s RSM Middle Market Award Winner: Morley Builders! Cusumano Real Estate Group has sold a two-building apartment complex in Burbank for $59 million, according LA Commercial Agency/KW Commercial in Encino, which handled the deal. Electronic Arts acquires Respawn for up to $455 million, SpaceX board member on leave of absence following misconduct claims and Snapchat recruits former Nielsen exec Cheryl Idell to head entertainment measurement. Private equity giant TPG Capital has acquired a majority stake in downtown-based fast casual chain Mendocino Farms. Ken Spiker, a longtime Los Angeles city official who went on to found a prominent lobbying firm representing business interests before local governments, died Nov. 6 at age 93. Westwood-based Unimat Commercial Inc. recently acquired the 204,523-square-foot Triangle entertainment center at the end of the 55 freeway in Costa Mesa for $55 million, or $269 per square foot. Hollywood-based entertainment advertising agency Concept Arts has signed a long-term lease for about 31,500 square feet at the Harbor Building, 4201 Wilshire Blvd. in the Park Mile submarket of the Wilshire Corridor, according to the building’s owner, Koreatown-based Jamison Properties. El Segundo-based Mattel Inc. has reportedly received an acquisition offer from rival Hasbro Inc.
Respawn Entertainment, the video game company behind the “Titanfall” franchise, has been acquired by Electronic Arts Inc. in a deal valued at up to $455 million. LA Rising: Santa Monica projects. These upcoming residential developments are located near the Metro Expo Line expansion that opened in Santa Monica last year. LABJ FORUM: Jumping on Gen Z? With Generation Z seen as increasingly influential in consumer decisions, many marketing companies are targeting the group. So the Business Journal asks: Is Gen Z important to your company’s bottom line? Study says SpaceX saves NASA money; ULA feels no schedule pressure to pick Blue Origin over Aerojet engine; Snapchat ad buyers say all hope is not yet lost. The Port of Long Beach now requires drone operators to obtain a permit before taking off or landing in the Harbor District. Clearlake Capital Leads $65M Round for MetricStream Inc.
Santa Monica private equity firm Clearlake Capital Group led a $65 million investment round for MetricStream Inc. of Palo Alto. B. Riley Financial Inc. said it would pay $143 million to purchase internet voice call service magicJack VocalTec Ltd.
Arcadia and Downey were named the most business-friendly cities in Los Angeles County at the annual gala of the Los Angeles County Economic Development Corp.
Opus Bank is settling for $17 million a class-action shareholder lawsuit brought by Los Angeles-based Glancy Prongay & Murray alleging the Irvine company misled investors about the quality of its loans. I have deep roots in Shoshone, a village that lies in the California desert’s beautiful Amargosa Valley and is home to the namesake river that plays hide and seek through its remote, stunning canyons. Have you noticed that all the fretting about corporate flight has abated lately? Hollywood-based entertainment advertising agency Concept Arts has signed a long-term lease for about 31,500 square feet of space at the Harbor Building at 4201 Wilshire Blvd. in the Park Mile submarket of the Wilshire Corridor, according to the building’s owner, Koreatown-based Jamison Properties. Electric-vehicle maker Chanje recently announced the delivery of its first order to Ryder System Inc., one of the largest medium-duty truck fleet management companies in the country. SeekOps Inc.’s employees spend a lot of their time sniffing around for problems. New feature on drone app aims to speed flight approvals. Emergency room in Long Beach set to shut down. Santa Monica Airport runway plan shorts charters. Halo Top ranks No. 1 on annual list; entries combine for $3.5B in sales. Overview of our annual list of the 100 fastest-growing private companies. Do Hotels Have Room for Airbnb? No big Airbnb effect yet, but industry wary. Private equity firm in Chicago has appetite for pork rinds. The office market around LAX is set for takeoff. Joe Furlow is not a magician, but it took more than a little sleight of hand to bring Hollywood’s venerable private magicians club Magic Castle back from the brink of insolvency in 2012, when Furlow became general manager of the Academy of Magical Arts, which oversees the club facility. Special Report: Overview of our annual 100 fastest-growing private companies. Keck Medicine of USC and Dr. John Meyer’s Institute of Sports Physical Therapy will operate at the Los Angeles Kings’ new orthopedic clinic and rehab facility in El Segundo when it is finished next year. Gary Toebben, the longtime chief executive of the Los Angeles Area Chamber of Commerce, announced his retirement on Thursday, effective next July. Snapchat redesign scheduled for release on Dec. 4, Disney to price streaming service 'substantially below’ Netflix, and Activision’s ‘Call of Duty’ rakes in $500 million. Two leading L.A. biotech companies reported third-quarter losses Thursday, while announcing increased sales of cancer treatments. The J. Paul Getty Trust today announced a $5 million gift from philanthropists John E. Bryson and Louise Henry Bryson to establish a new fund supporting the global work of Getty Conservation Institute. New York City real estate investment firm Blackstone Group has grown its local portfolio with a recent purchase of a shopping center next to the Hollywood Burbank Airport. China's Tencent takes 12 percent stake in Snap as shares plunge, LinkedIn and Silver Lake take stake in Cornerstone OnDemand and SpaceX suffers Merlin engine test mishap. Paramount Pictures Corp. and China’s Huahua Media have mutually ended an agreement that would have financed 25 percent of Paramount’s film slate through 2019, citing recent changes in Chinese foreign investment policies. Community Medical Center Long Beach announced this week it would shutter its ER and acute care services within 18 months because the nearly century-old hospital can’t meet state earthquake safety standards. Mexican airline Volaris will begin weekly flight service from Los Angeles International Airport to Acapulco next month. Snap’s quarterly earnings report disappoints, pop star and entrepreneur will.i.am’s I.am+ raises $117 million and digital advertiser H Code Media partners with online health care portal Webconsultas. The LAC+USC Medical Center in Boyle Heights on Oct. 27 unveiled a $4.6 million renovation of a half-century-old ambulatory care clinic, the largest in Los Angeles County. Country Club Apartments, an 80-unit apartment complex near the Los Angeles Stadium at Hollywood Park district in Inglewood, has been put on the market. Cathay General Bancorp’s acquisition of SinoPac Bancorp was completed late last month, with the two companies’ public-facing banking operations – Cathay Bank and Far East National Bank – merging under Cathay’s banner. Move could signal a jump to Major Leagues. Shohei Otani, a star pitcher/outfielder in Japan, signed with Creative Artists Agency to represent him in his transition from the Japanese League to Major League Baseball. Architecture and urban planning studio Jerde Partnership is moving its global headquarters from Venice Beach to the CalEdison building downtown. Premium denim brand True Religion Apparel Inc. became the latest retailer to emerge from bankruptcy last month. Blizzard reveals details of upcoming Overwatch League season, consumers overwhelmed by growing number of TV shows and GrubHub finds success on Snapchat. Walt Disney Co. has held discussions in recent weeks to acquire most of the assets of 21st Century Fox, according to a CNBC report. Researchers at Children’s Hospital Los Angeles will lead a $4.8 million study to engineer T-cells to battle toxic viruses in children. What you grill is more important than how you grill it, say experts at the American Institute for Cancer Research (AICR), a non-profit research and education organization specializing in the connection between lifestyle habits and cancer risk. Smokers who received frequent, tailored emails with quitting tips, motivational messages, and social support had cessation rates rivaling that of the most effective medication available for cessation, according to a new American Cancer Society study. A new study shows that the number of women in the United States living with distant metastatic breast cancer (MBC), the most severe form of the disease, is growing. The war for talent has never been more intense than it is today. The Dodgers may not have won the World Series, but the team’s fandom is undeniable. So the Business Journal asks: How many Dodger games did you go to this year? The news last month that world-famous celebrity chef Thomas Keller would close the Beverly Hills location of his French restaurant Bouchon on Dec. 31 came as a surprise to some in the L.A. restaurant industry. Four teams of companies have been cleared to bid on the $1 billion consolidated car rental facility to be built near Los Angeles International Airport. Snap acquired Metamarkets, Disney’s “Star Wars” augmented reality headset goes on sale and inside Hulu’s growing ad-sales research team. Months after the troubled Fortune 500 insurance company announced a wholesale makeover, Molina Healthcare Inc. reported a $97 million third-quarter loss. Former Banc of California CEO reemerges nearly a year after resigning amid investigation. Steve Sugarman, the former chairman and chief executive of Banc of California, announced on Friday the launch of Capital Corps, a lender focused on financing homes and small businesses for African Americans, Hispanics, underserved Asian populations, women-only borrowers and borrowers with limited credit histories. Downtown-based Anti-Recidivism Coalition, a support and advocacy network for the formerly incarcerated, has leased 12,623 square feet of office space at Row DTLA. Puma Biotechnology has received up to $100 million in term loan funding to support the research and sale of a breast cancer drug approved this summer. Space Exploration Technologies Co.’s presence in Hawthorne brought new business and a higher quality of life to the city, but now the growing company is beginning to get hemmed in. Generation Z is the new demographic of consequence for brands, and media and marketing companies are looking to girls and young women as influencers. USC is betting big on biotech, dedicating the university’s largest campus building to research biosciences. Veterans can be a valuable resource for companies. Trump Talk Could Get Expensive in Heart of L.A.
USC’s Keck School of Medicine and Dr. John Meyer’s Institute of Sports Physical Therapy will operate at the Los Angeles Kings’ new orthopedic clinic and rehab facility in El Segundo when it is finished next year, according to Kelly Cheeseman, chief operations officer for the Kings. Downtown Culver City is buzzing over the impending arrival of Amazon Studios to the historic Culver Studios, while development on a new multi-use office and retail project across the street is set to break ground this week. L.A. County is a hot financial market. Biomass-fueled generator distributor Arensis is helping bring power back to Puerto Rico. Republicans’ plan to overhaul taxes boon for some, bad news for others. The Republican-controlled U.S. House of Representatives unveiled its anticipated tax legislation last week, with mixed reviews over the bill’s business benefits. Three high-rise developments proposed at Bunker Hill expected to energize market. Three Angels Landing development proposals could boost Bunker Hill. L.A.’s oldest hospital is expected to close in December. A new auto mall in Playa Vista bucks tradition and features four car brands. Gotta shake out the notebook everyone once in a while – a good way to shift perspective, a useful exercise in endeavors entrepreneurial and otherwise. MANUFACTURING: Will toymaker’s sales rebound? Mattel Inc. and its digitally savvy chief executive are facing an uncertain future as retail partners disappear, flagship brands lose their appeal and revenues lag. LAist, a local news offshoot of New York-based DNAinfo’s Gothamist website, has been shut down by billionaire Joe Ricketts, DNAinfo’s chief executive officer. Billionaire investor Robert Mercer, a backer of conservative causes and patron of former White House adviser Steven K. Bannon, is reportedly selling his stake in the conservative website Breitbart News Network to his daughters. Activision Blizzard’s third-quarter results beat expectations, HP and Intel become sponsors for Activision Blizzard’s Overwatch League and Snapchat adds tracking pixels. While there have been improvements in some areas of cancer prevention and early detection, the use of potentially lifesaving measures is suboptimal and strongly influenced by individual behaviors, as well as social, economic, and public policy factors, according to a new report from the American Cancer Society. On Saturday, June 10th, The Leukemia & Lymphoma Society (LLS) celebrated its 2017 Man & Woman of the Year campaign at The Globe Theatre at Universal Studios in Hollywood. Approximately every three minutes, a person in the United States is diagnosed with a blood cancer; every nine minutes, someone dies from it. Colin Diaz has been named the new chief executive of the Culver City Chamber of Commerce, replacing Steven Rose, who is retiring after 30 years at the helm. Santa Monica real estate investment trust Macerich Co. is entertaining offers for its Westside Pavilion mall, company officials said. When a wave of consolidation hits an industry, an independent owner is forced into some choices. Business executives are taking a more conservative view of what had been bullish optimism about both the U.S. economy and prospects for their own companies earlier this year, according to the second-quarter AICPA Economic Outlook Survey, which polls chief executive officers, chief financial officers, controllers and other certified public accountants in U.S. companies who hold executive and senior management accounting roles. 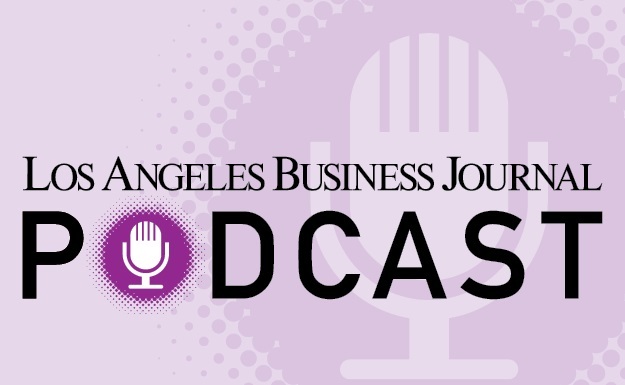 The Los Angeles Business Journal has once again turned to some of the leading accountants in the region to get their assessments regarding the current state of business accounting, economic variables, and the various trends that they have been observing, and in some cases, driving. The City of Carson has stepped up a legal dispute with Tesoro Refining and Marketing Co. over the city’s approval earlier this year of a warehouse project next to Tesoro’s massive refining complex. The Dodgers fell to the Houston Astros 5-1 in Game Seven of the World Series at Dodger Stadium. Virgin Orbit launches Vox Space subsidiary, Snap Maps offered real-time coverage of Tuesday’s terror attacks in Manhattan and Breitbart and other conservative outlets escalate anti-SpaceX campaign. The Los Angeles Sports & Entertainment Commission has successfully landed the bid for the 2023 College Football Playoff National Championship game, which will be played in the new NFL stadium now under construction in Inglewood. The owner of the Fatburger brand has completed the $10.5 million acquisition of Homestyle Dining, parent company of the Ponderosa and Bonanza Steakhouse brands. Beverly Hills-based Langdon Street Capital has acquired Grand Central Square, including L.A. icon Grand Central Market, which celebrated its 100th anniversary last Friday. San Francisco-based Swift Real Estate Partners acquired the 73,949-square-foot office building at 4640 Lankershim Blvd. in North Hollywood for $23.5 million.